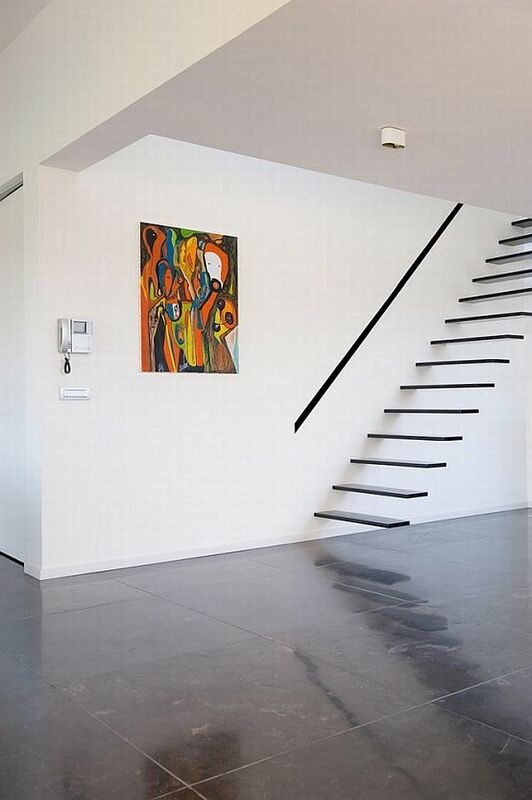 In today’s modern world, almost everything is on the move.Staircase Designs is now quickly evolving. 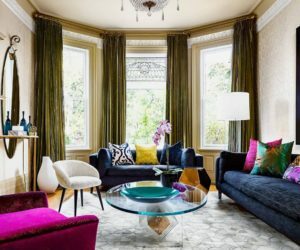 There are now many styles that are making there way into the homes of many people.From victorian, contemporary to modern and floating staircase designs.Those who choose floating staircase are usually very elegant, stylish and minimalist.We chose to showcase 21 most interesting floating staircase designs that define the interior within which they are placed. 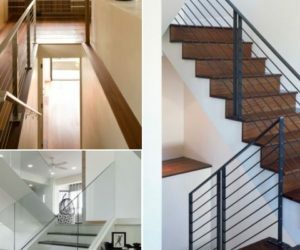 A metal floating staircase with a thin and simple handrail made from the same material adds a touch of industrialism to the décor, especially here where the walls also have a rough finish. 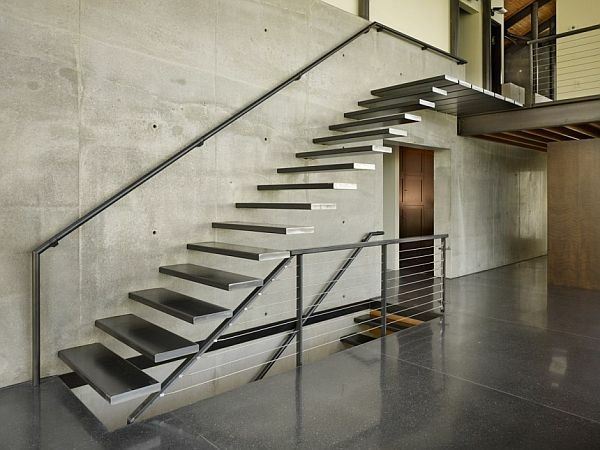 The different shades of grey and the finishes create a nice balance.Found on the West Seattle Residence by Lawrence Architecture. 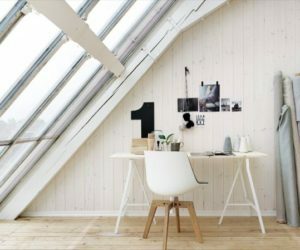 A minimalist décor with white walls featuring a floating staircase that stands out with its thin and simple lines and dark color. 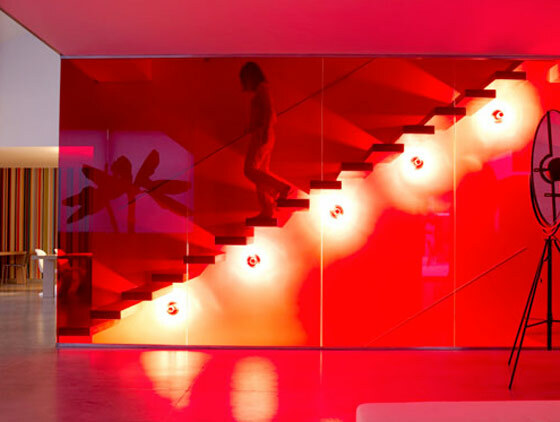 The colorful piece of artwork displayed on the staircase wall complements the décor beautifully and makes it more dynamic.Designed by Klaarchitectuur. 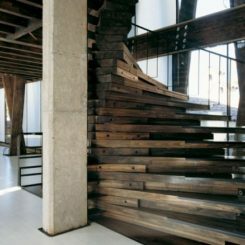 Wood staircases tend to have a more classical look but not in this case. 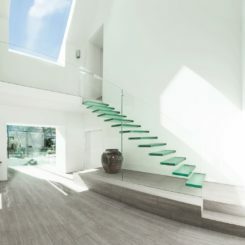 This floating staircase lacks the handrail and also has an asymmetrical design which makes it unique and even more eye-catching. 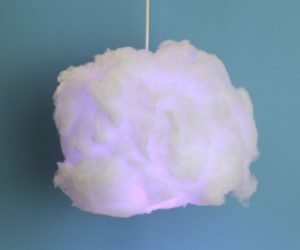 The effect is unusual and also interesting. Designed by Alvaro Leite Siza. 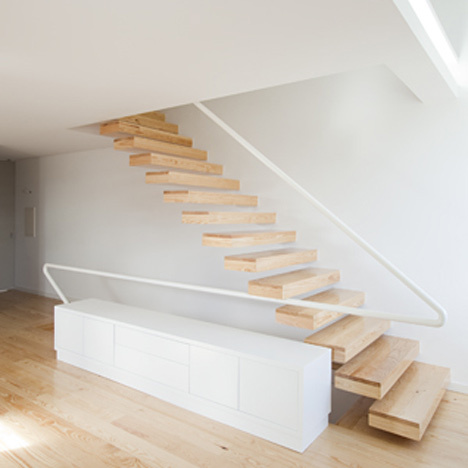 In this case, the floating staircase maintains an airy and open look. 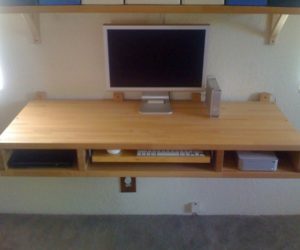 The corner work area is not hidden by the stairs and thus the décor remains transparent. The stairs are very thin and yet strong as they are made of steel. 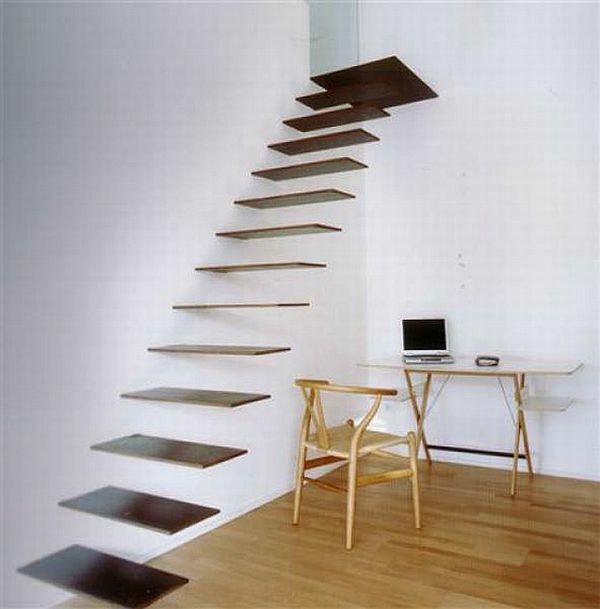 This is a more unusual type of floating staircase. 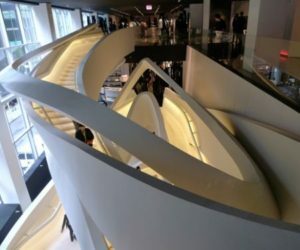 Instead of opting for several individual stairs, the designer chose to make it resemble a ribbon and to have the staircase made from one single and continuous piece while also maintaining the floating effect. 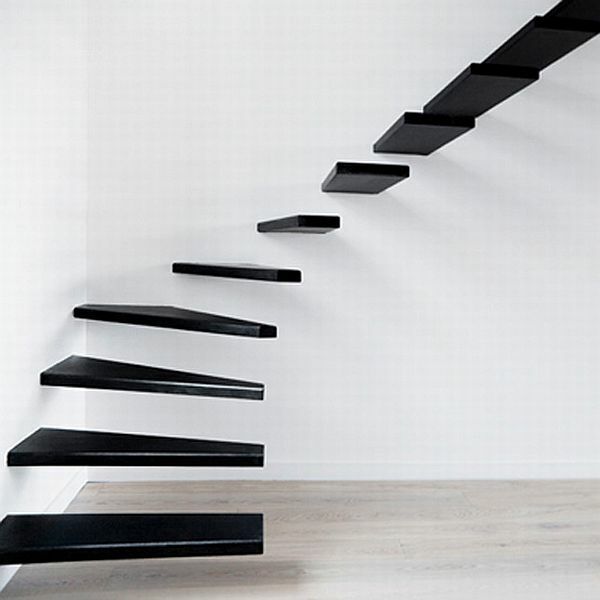 A black floating staircase placed against a crisp white wall. 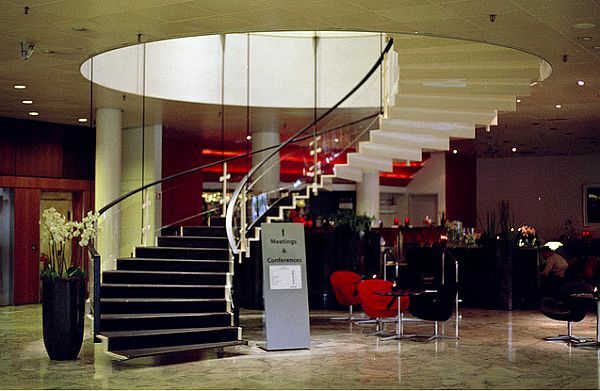 The staircase doesn’t follow a straight line but instead it curves and becomes a sort of spiral staircase. 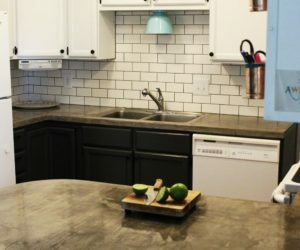 Since the contrast is so strong, the shape and design stand out. 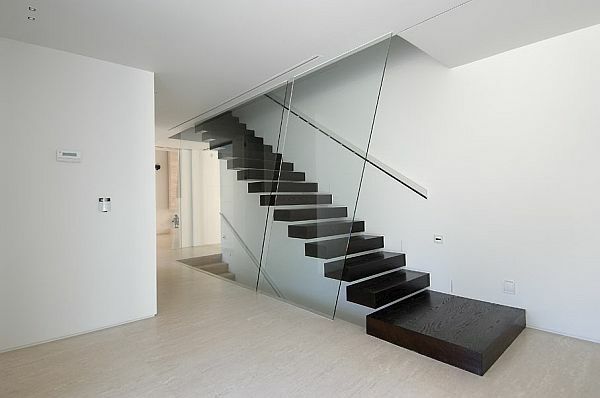 Here we have a floating staircase that combines two types of designs. 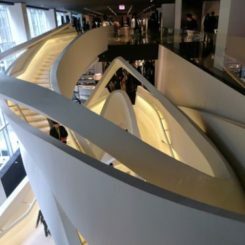 The staircase covers an entire wall where it follows its straight line and then it corves and continues on the adjacent wall. 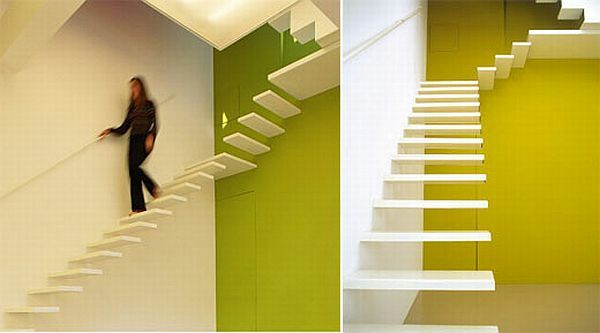 The different colors of the wall give the staircase a different allure as well. 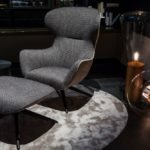 Designed by Nathalie Wolberg-Architecture. 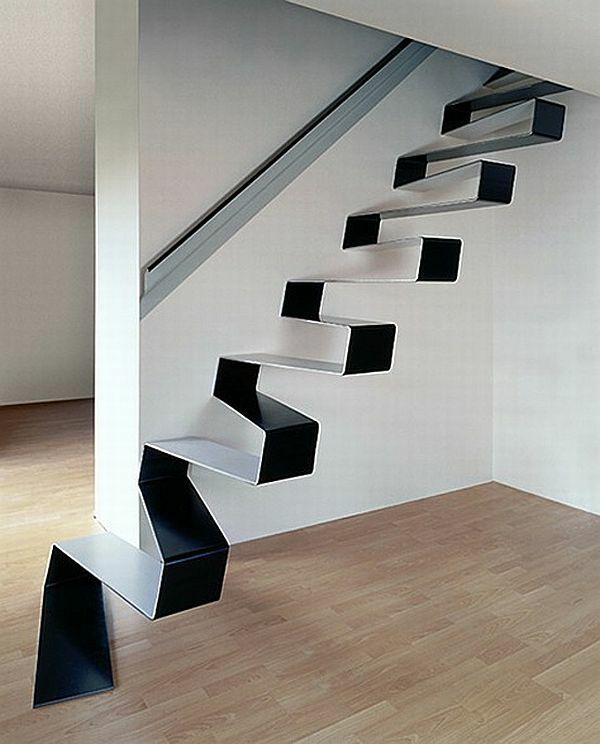 This is a very unusual staircase design. 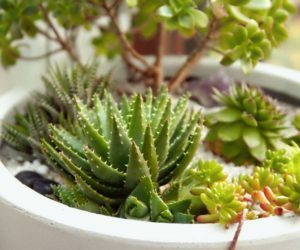 The shape and geometry are unique. 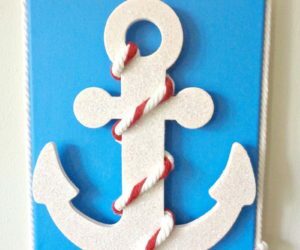 There are basically two parts, each resembling a ribbon with straight and well-defined lines. 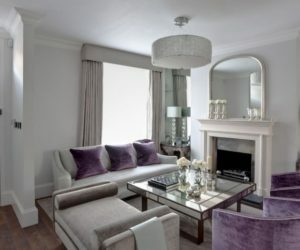 It’s an abstract and striking design that becomes a strong focal point for the décor. 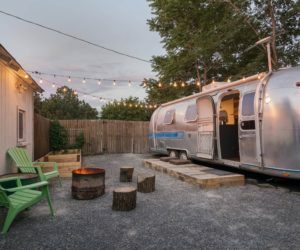 Designed by Schlosser + Partner. 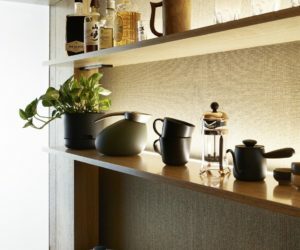 If the designs presented so far were of staircases attached to the wall, this one is actually floating as it’s being supported by thin cords that give it stability while also serving as a guardrail or protective wall. Only one portion of the staircase features this detail.Designed by Blair Road Residence. The walls here are entirely white and there are no visible lines that allow them to stand out. 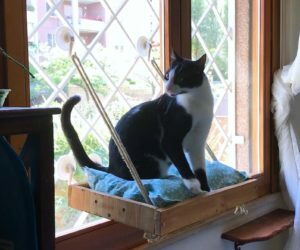 It’s why the floating staircase seems to disappear into the ceiling. It actually continues on an angled platform that leads to the upper level. By Vienna studio Wolfgang Tschapeller Architekt. 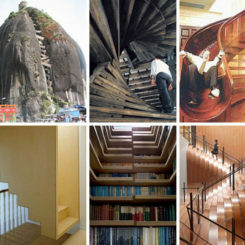 In this case it’s not the actual staircase that stands out, although it’s quite interesting itself. 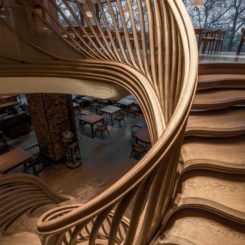 The floating staircase, made from wood similar to that used for the flooring, is complemented by a simple but eye-catching handrail. 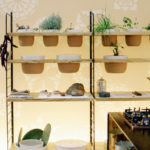 Found on Luisaviaroma store by Claudio Nardi Architects. 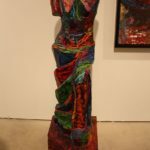 There are all sorts of combinations of materials that you can explore. 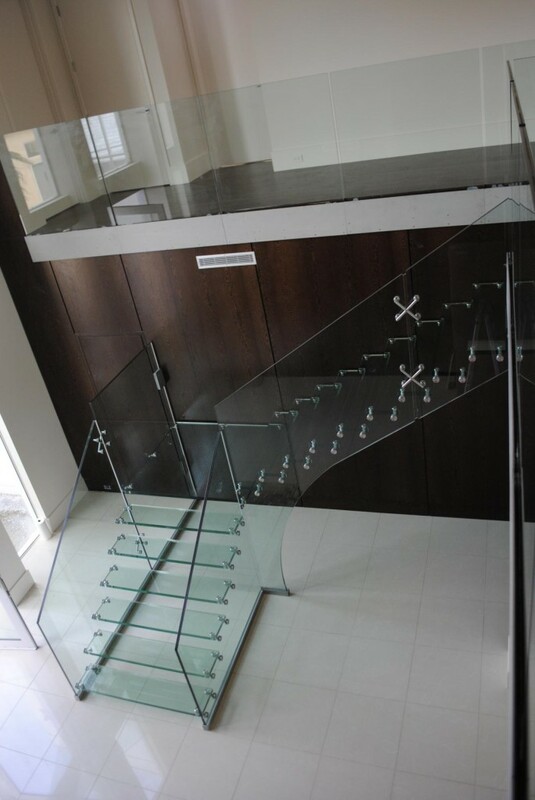 For example, this is a wood and glass floating staircase. The stairs are made of wood and held together by the glass wall. 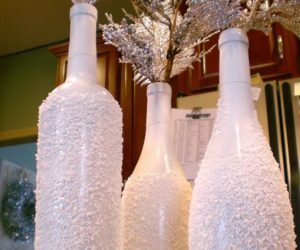 The transparent glass maintains an airy look while also providing protection. Spiral staircases are always charming. 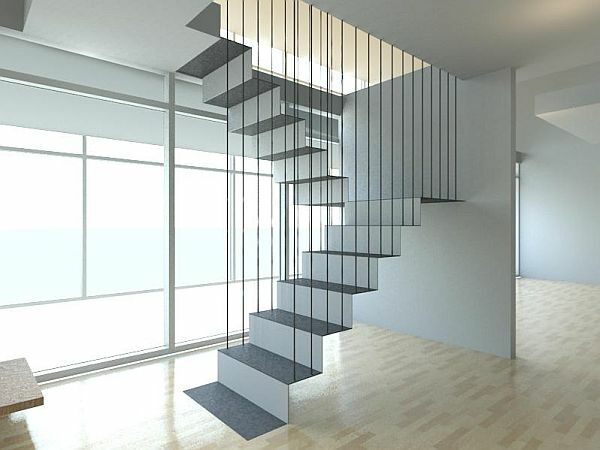 But floating spiral staircases are amazing. This one beautifully comes out from an open circle and is being lit from above. 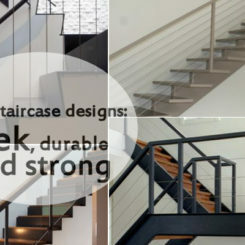 The handrails that follow the same delicate lines further complement the design. 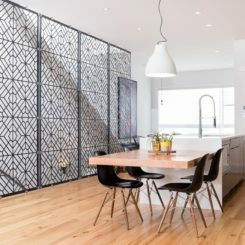 Attached to a huge accent wall, these two staircases have matching designs. 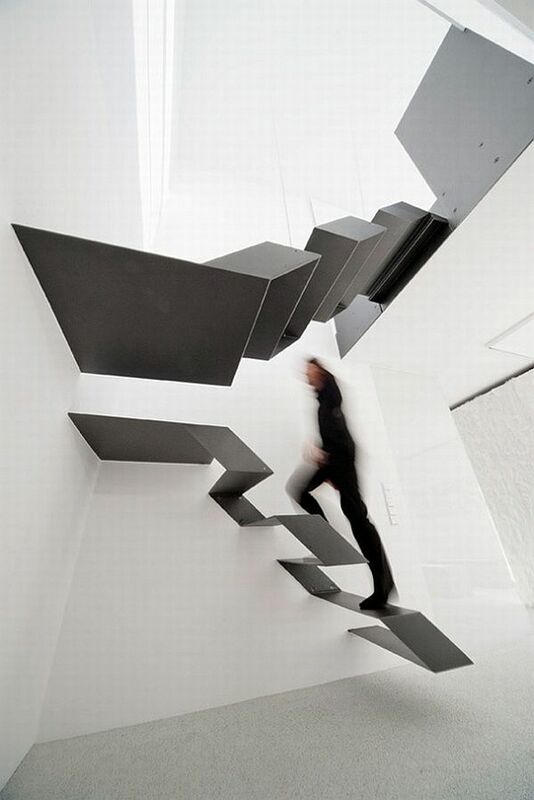 They are both floating staircases with a puzzling look given by the actual shape of the stairs. 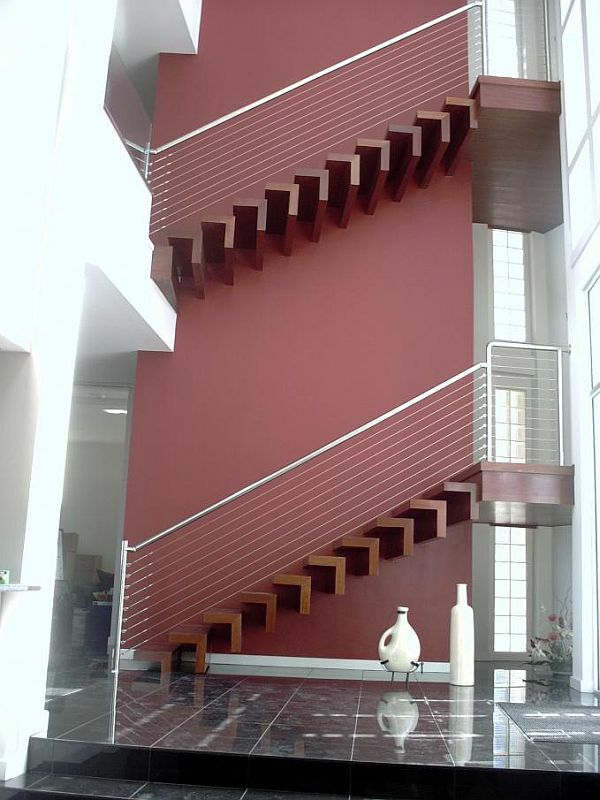 The stairs have the same color as the wall and it’s only the metal guardrail that contrasts in this sense. 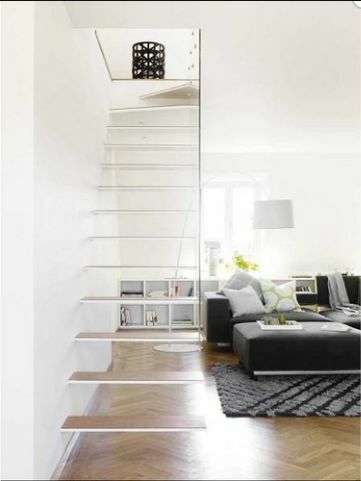 When the staircase is part of the living room’s décor and layout, it’s best to make it as transparent and simple as possible. 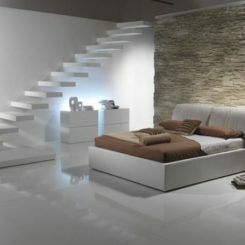 A floating staircase with thin, simple lines would maintain an airy décor while also integrating easily into the design. 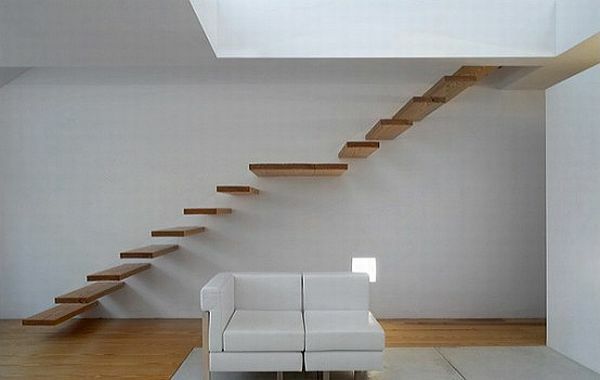 In the case of this floating staircase, there are several interesting aspects. 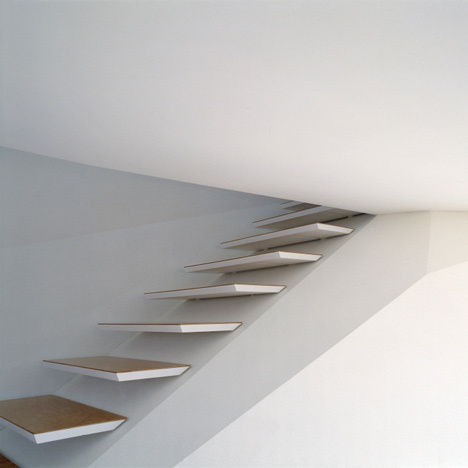 First of all, the stairs contrast with the white wall. But there’s also the aspect related to the glass panels that are difficult to even detect at first. 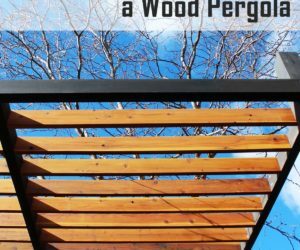 The oblique lines are an interesting detail. 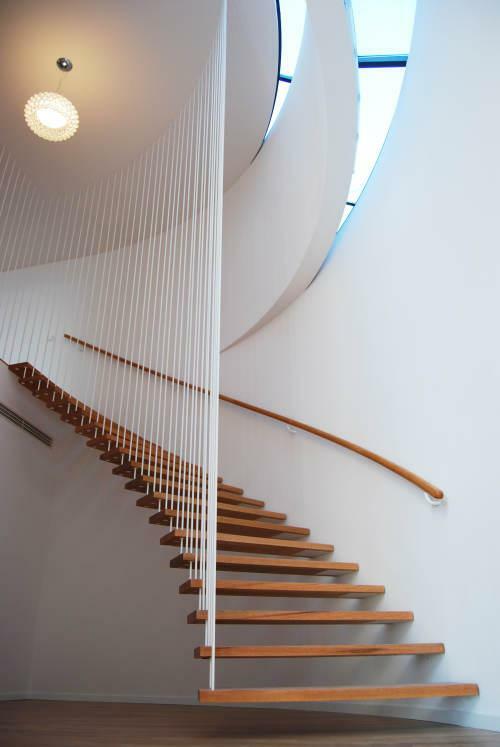 The curved line of the wall that this floating staircase follows is delicate and beautiful. 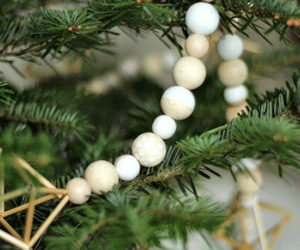 But the effect created by the thin white thread that support the outer portion of the stairs is extremely beautiful as well. The effect is almost magical. 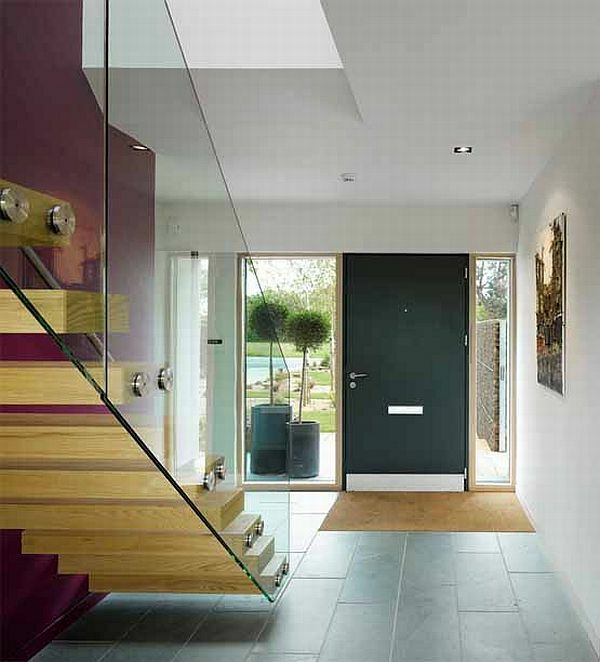 The lighting can also play an important role in a staircase’s design. 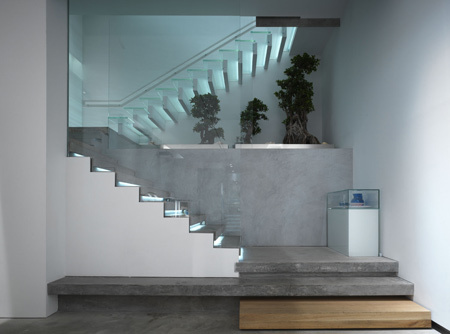 For example, these floating stairs are lit from below and the glossy surface of the wall features projections of elements featured on the parallel side of the room. 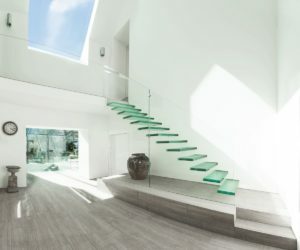 This staircase is entirely made of glass. 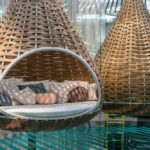 It has guardrails on both sides and, even though it occupies an important portion of the space available, it doesn’t disrupt the décor and the views as the glass is transparent. 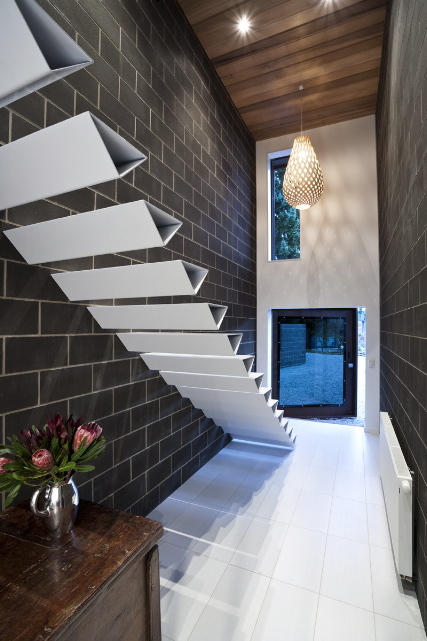 These triangular floating stairs are another interesting example of how a simple detail can change the looks of an element and make it stand out. On this long and narrow space, the floating staircase was a great solution as it doesn’t limit the openness of the hallway. 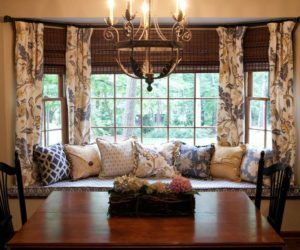 20 Trendy Living Rooms You Can Recreate at Home!